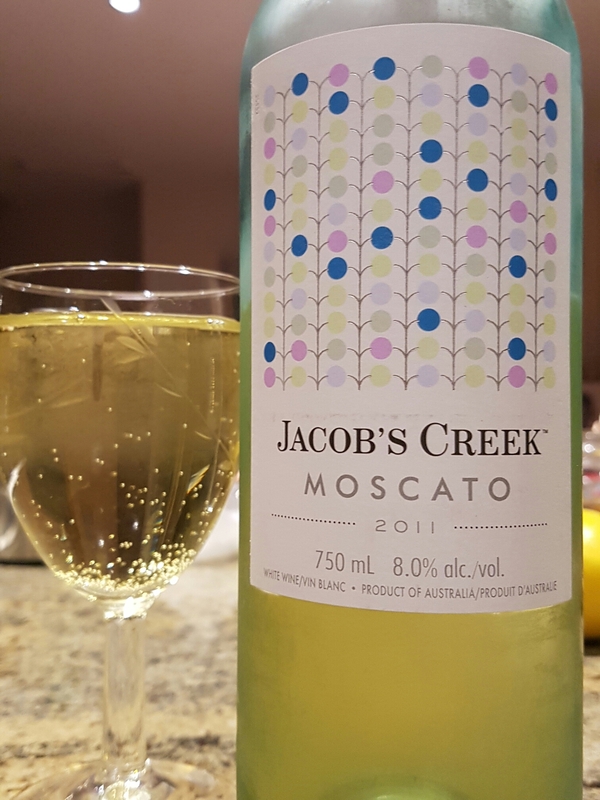 Jacob’s Creek Moscato (Australia) | Justintoxicated. Visual: (cellared for 5 years). Twist cap top. Pours barely fizzy with lots of small bubbles hugging the side of the glass, light sunshine yellow colour. Finish: tart acidity, thickened saliva, prickly-tangy tongue, sticky gums, apple-white grape exhale. Summary: Lots of bright grapey-apple fruitiness characteristic of moscatos, although somewhat cloying and sticky in the finish. Drinks like an inexpensive and straightforward muscat wine for the masses.